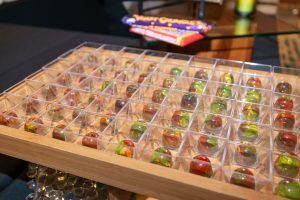 With the theme, “Black & White,” the eighth annual Big Island Chocolate Festival takes place April 26 and 27, with events headquartered from The Westin Hapuna Beach Resort. Indulge in the alluring, rich taste of chocolate—in both its sweet and savory forms—while participating in delicious, fun and informative chocolate-themed activities. 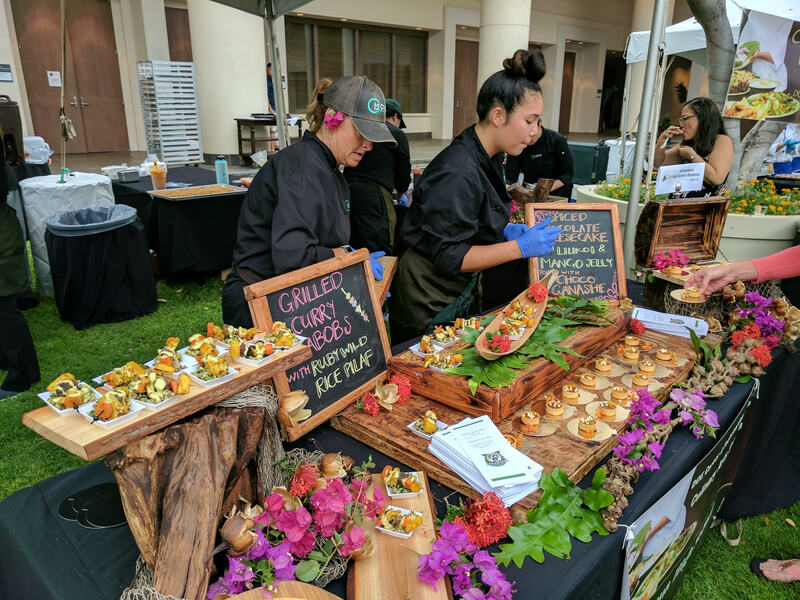 Konawaena students serve up both sweet and savory chocolate-infused tastes at the 2018 Big Island Chocolate Festival. PC: Kirk Shorte. The festival gala—featuring food booths, unlimited wine and beer pours, silent auction, dancing, chocolate body painting, chocolate fountain and more—is 5 to 9 p.m. Saturday, April 27. Culinary booths will be judged on their depiction of the 2019 theme. Attendees are encouraged to dress up in swanky black and white attire—tuxes, plus gold and silver bling are encouraged! And similar to the calling of racial harmony found in the Michael Jackson song, “Black or White,” gray is a mix of both colors and works for themed attire too. Likewise, all the flavors of chocolate will tempt party-goers in their dark, milk and white forms. 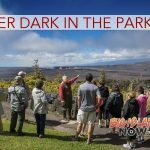 Presented by the Kona Cacao Association (KCA), festival proceeds annually benefit a variety of local nonprofits. Last year’s festival awarded $27K to five community educational organizations. 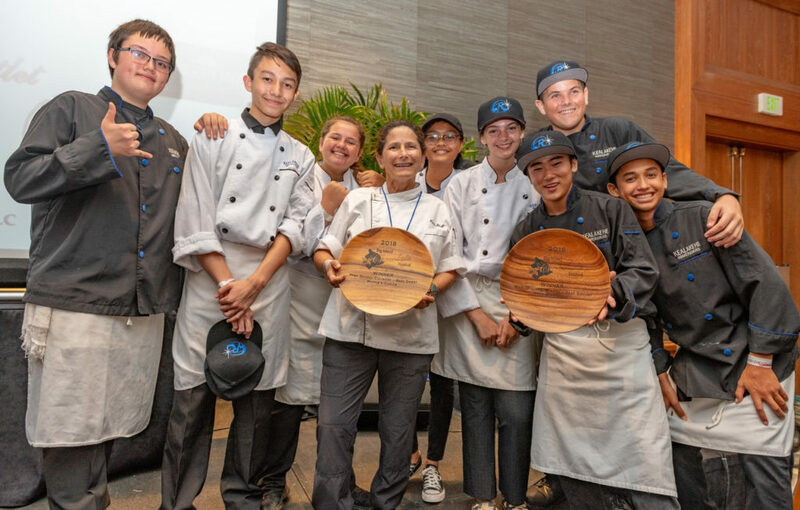 The 2019 beneficiaries include the culinary programs at Hawai‘i Community College Palamanui, Kealakehe High School, Hawai‘i Island High Schools and Maui Community College, plus Hawai‘i Institute of Pacific Agriculture, Waimea Country School, Kona Pacific Public Charter School’s West Hawai‘i Summer Lunch Program and Kona Dance & Performing Arts. 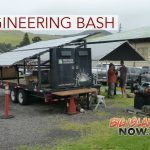 More than 600 guests attended the two-day festival in 2018, and 2019 is expected to be another sell-out affair. A limited amount of VIP ($129) gala tickets are on sale now; general admission is $89. Also available are three different overnight room packages, including a Two-Night Chocolate Weekender. All room packages include a pair of tickets to the Saturday evening gala. For more information or to buy tickets, go online. 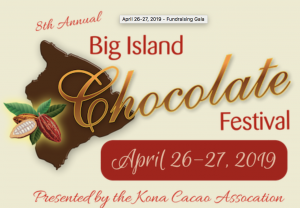 Kona Cacao Association: The mission and goal of KCA is to promote the cacao industry on the Big Island of Hawai‘i by presenting BICF as an educational and outreach opportunity for local cacao farmers, the hospitality industry and cacao enthusiasts.